Credits: Template by Crystal Wilkerson; Paper by Jessica Sprague. “Alyeska” to the Aleut people means the great land and those who have visited would likely agree. It is a vacation paradise, America’s last frontier, if you will. 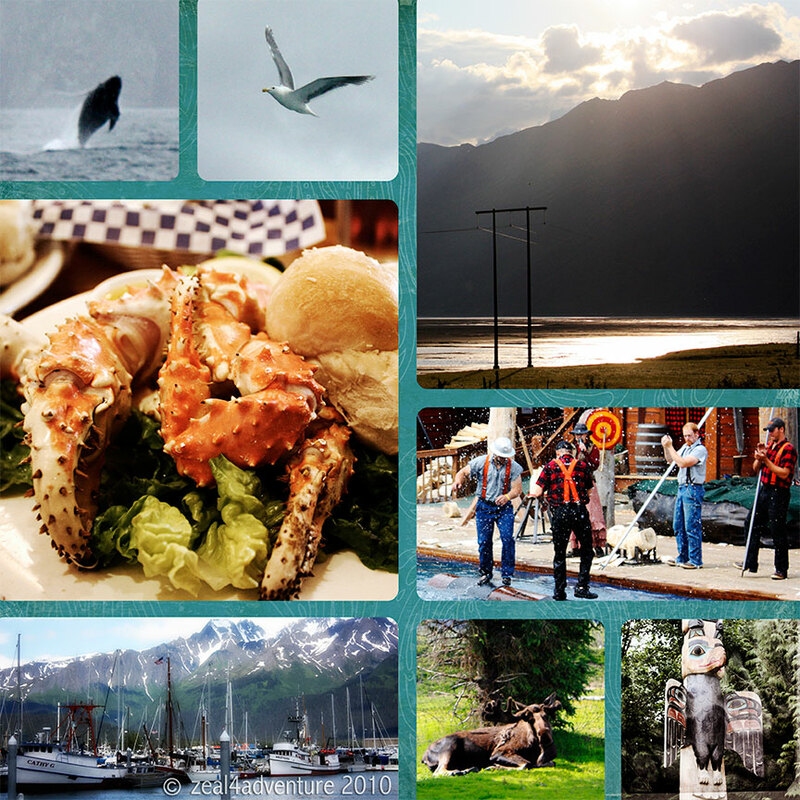 Raw with a touch of exotic, Alaska is magnificent sceneries one after the other. Our trip was rugged yet luxurious – thanks to our cruise ship extravagance, which balanced everything out. Although more than half of the tourists came through a cruise ship, if I were to do it again, I would explore traveling by land to allow for longer stays in each town. But if you are pressed for time and have constraints in budget, contrary to popular belief, taking a cruise is an economical way to cover Alaska. Consider this: you hit 3 birds in one stone, your means of transport, your accommodation and let’s not forget the overflowing sustenance offered on board. My allure with Alaska started with the TV series, Northern Exposure. Shown in the early to mid 90’s, it actually aroused my fascination to charming quaint towns such as Sagada and Banaue – closer to home rugged towns that I frequent. Alaska was a far-fetched dream that came true. Wildlife. Humpback whales and bald eagles to be more specific thrive in Alaska. This is an area full of wildlife as evidence in the wildlife and whale watching tours available in many towns. Alaska is a perfect archetype of the great outdoors. And if you are no stranger to this blog, you already know that I love the great outdoors, and the great wildlife. Charming towns + great outdoors + wildlife galore = money and time well spent. Thanks o so much for letting us visit! We did an Alaskan cruise a few years ago. By far my favorite cruise. I told my husband I want to do it again. What a wonderful experience! And such fun photos to remember it by! Taking a cruise to Alaska has been on my list for a long time. This makes me want to move it up! I’ve never been there, but it looks like a must-see. What a fantastic frontier – all those wide open spaces!